Went home to be with the Lord February 3, 2019 at the age of 95. Predeceased by her husband, Charles; & daughter Charlene Marsh. Survived by her sons, Roger Smith & Kirk Chatterton; & grandchildren, Jamie (Ian) Jacobs & Andrew Marsh; & many dear family & friends. Since being born again (John 3:3) through faith in Jesus Christ on 7/27/76 she has faithfully served in children's Ministries (Bus, AWANA, & North Star Christian Academy of First Bible Baptist Church). Friends may come to her calling Thursday February 7, 10am-12pm, at New Comer Cremations & Funerals, 2636 Ridgeway Avenue. Service to follow immediately after. Burial to follow service at Falls Cemetery. Contributions may be made to First Bible Baptist Church (AWANA), 990 Manitou Road, Hilton NY 14468. Add your memories to the guest book of Elizabeth Chatterton. I learned one of my most important life lessons from Betty, always be a ready and willing servant for Jesus. It was a hot, summer day. We had packed up our big, white van with our grill, several hundred hot dogs, chips, pop, field day games, prizes and Gramma Betty! We headed to Tacoma Park in the city. We set up in the grassy field ready to love on the children that lived in that neighborhood. I had insisted that Peter pack a lawn chair for Betty. “She will not be able to stand the whole time and it is hot today!” I immediately let her know that we had a chair just for her. Betty’s response, “ No, today I will cook the hotdogs!” And that is just what she did!! For the next several hours she served that community and her Lord by standing over the hot grill on an already hot day. That was a fun day! Peter loved to joke with her and she would joke right back. There was a young mother in Betty’s hotdog line that caught her attention. This mom looked like she most likely struggled with drug addiction. She had sores all over her face, her hair piled in a nest on top of her head. Standing with her in line were four little kids, all with messy faces and dirty clothes. Betty served each and every one of them with a smile, and maybe an extra bag of chips or two. She served that day over the grill until she gave away the last hotdog! The next morning when we picked Betty up on our way to church she looked tired. I assumed yesterday had been too much and silently worried. I asked her if she was okay? I will never forget her response, “Jill, I didn’t sleep last night. I kept thinking of that mother with all those children.” She began to softly cry, “God has been so good to me. He has provided all I have ever needed. I want to serve Him until I can’t serve anymore.” Gramma Betty, I know where you are this morning, sitting at the feet of your Savior! My sincere condolences go to the family at this trying time. There are scripture passages that comfort me greatly that I would like to share. Isaiah 25:8 tells of a time that God will swallow up death forever. Also, Job declared that those who have died will be resurrected to a better life. And Psalm 37:29 is God's promise that all will be able to live forever in His restored paradise. May God’s peace and comfort be yours. ( Isaiah 26:4). The first year of Awana at FBBC Betty and I were at the same Sparks table. I learned a lot from her about commitment. Even during the worst snowstorms, Betty found a way to get to church. She will be missed by many! I remember her presence always at First Bible... Always a joyful spirit! I am better for knowing her! Safe in the arms of Jesus! Betty was an amazing lady and truly loved children and others. My fondest memories of her are working together in Awana, seeing her volunteer at Northstar whenever she was able and loving on the children at church. She was a true example of a servant for Christ and I am sure she is now dancing with the Angels ! What a wonderful legacy she leaves behind ?? Keeping you all in my thoughts and prayers as I know she will be greatly missed . Mrs. Chatterton, was such a caring, loving, and God serving woman. 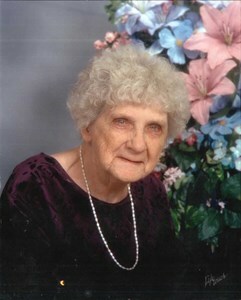 She has loved on and served Godly faith to my family for over twenty years! I know You are serving and praising God in person now! Thank you for loving us and we loved you! Betty has always been a precious part of our First Bible Baptist Church family. Betty was so loving and caring in every way, serving in many of the ministries. I will always remember her as wearing an AWANA uniform because of her dedication to the children who she served. It was our Lord Jesus who was her purpose to serve others and now she is in His presence, together with those of her family who went on before her. We will miss you Betty for a time. You left an example for us all to Love God, Love People, Serve others and Tell everyone. Rest now and Enjoy the Lord in ALL His Glory in eternal peace with God. We are praying for all of the family at this time of separation. Betty loved children! She volunteered at Northstar Christian Academy for many years in the classroom and in the cafeteria. She became part of the family and always called Doug "boss man" her "boss" in the cafeteria. She was so friendly and welcoming as she welcomed everyone to church Sunday morning but was especially fond of the children and made them feel especially welcomed. We will miss her dearly. What a privilege it was to know Betty. We met at First Bible Baptist Church when we first visited in the 1990's. Betty was the 2nd person who befriended our family of 5 and in time we became good friends. I enjoyed Betty's smile and even when she didn't feel well after Charlene passed into heaven, Betty continued to walk her Christian path. We had fun going out for breakfast and I'm happy that Charlene was able to join us. What a time you are having in heaven Betty--your reward for your faithfulness.